Intracystic hemorrhage of the liver (i.e., hemorrhagic hepatic cyst (HHC)) is an infrequent complication occurring in simple hepatic cysts with complicated iconographic characteristics (e.g., a thickened cyst wall, a solid septal structure or a mural nodule) [1–5]. In particular, when enhancing solid components which are newly detected in the cyst, it is sometimes difficult to deny the presence of cystic neoplasms, such as biliary cystadenoma or cystadenocarcinoma, and surgical resection is considered for diagnostic and therapeutic purposes. When attempting a minimally invasive approach, it is of paramount importance to ensure the surgical and oncological safety [6, 7]. Previous studies have discussed the imaging characteristics of HHCs; however, they still remain challenging to describe [1–5]. Very recently, Kohno et al. summarized the imaging characteristics of HHCs with enhancing mural nodules . 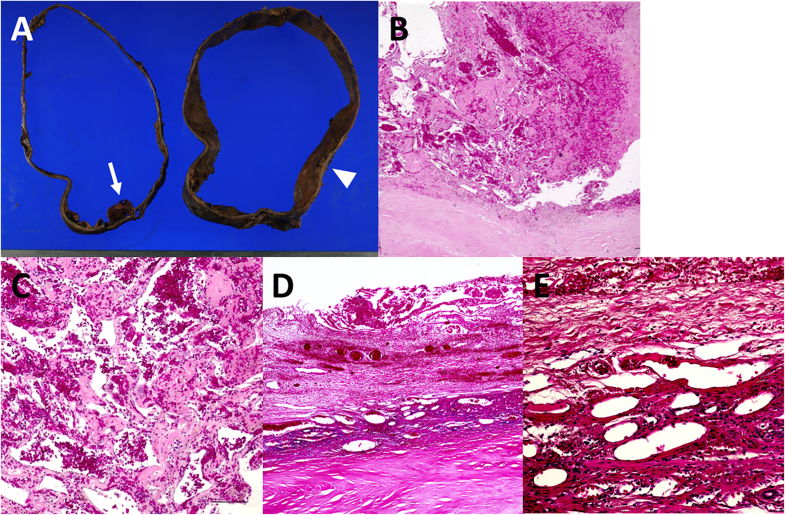 In all the resected cases in the literature, the nodules were histologically diagnosed with neovascularization within organized hematoma, as was observed in our case. 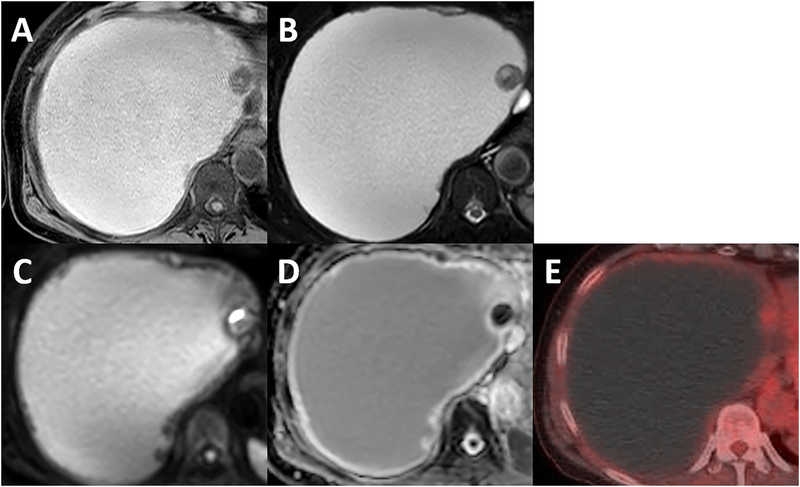 As they mentioned, the ventral enhancing mural nodule in our series showed persistent centripetal filling on delayed CT images and central high signal intensity on T2WI. In addition, the calcification of the cyst wall was found close to the dorsal mural nodule. However, unlike their report, the ventral mural nodule in the present case demonstrated a weak but abnormal uptake on FDG-PET. 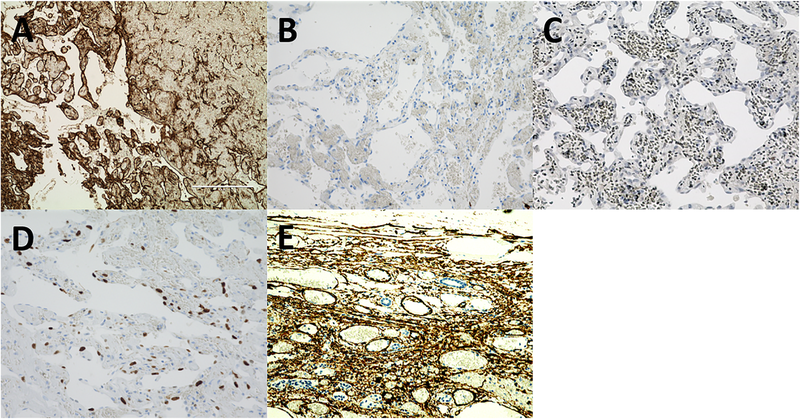 This abnormal uptake on PDG-PET may have been associated with the high Ki-67 value. Previous studies have shown that the SUVmax on FDG-PET was correlated with the Ki-67 index of various tumors [10, 11]. Considering that the ventral mural nodule rapidly grew within a year, it is conceivable that the nodule included highly proliferating endothelial cells. Moreover, we found a high signal intensity area on DWI with a low ADC value on MRI in the ventral mural nodule, and this was retrospectively considered to be consistent with organized hematoma. 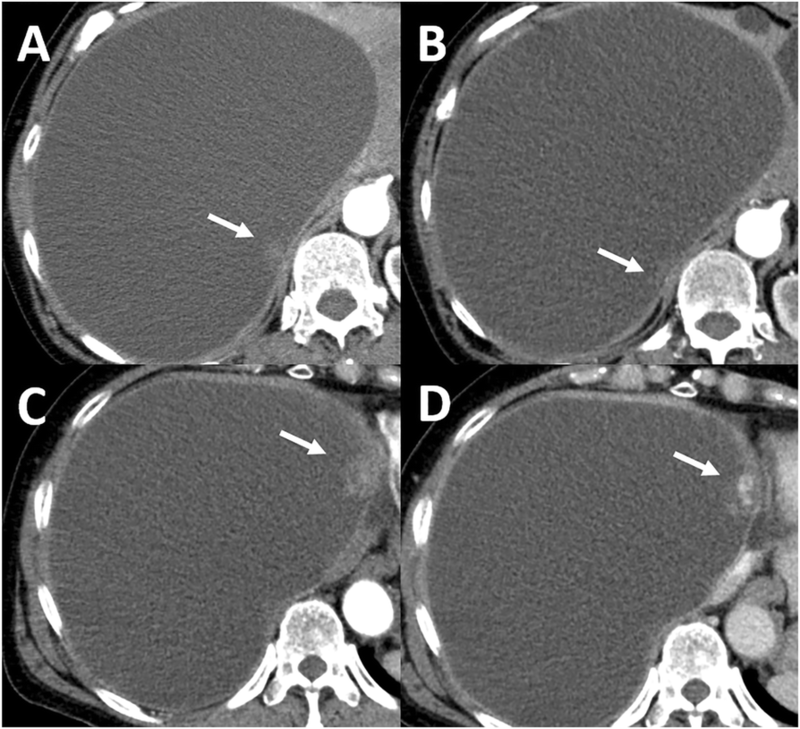 However, these MRI findings were also observed in biliary cystadenocarcinoma, which led to the preoperative misdiagnosis.